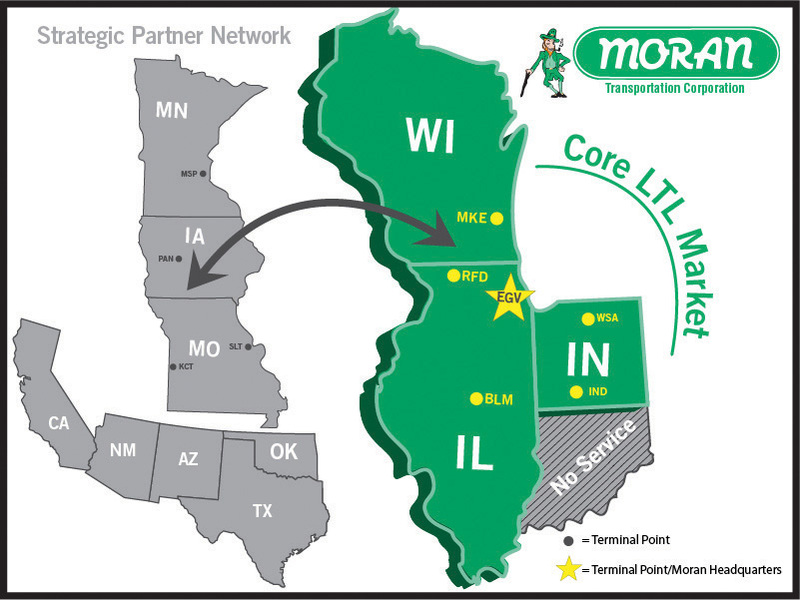 Moran Transportation Corporation, Moran Distribution Centers, Inc.
Moran Transportation Corporation is one of the premiere LTL (less than truck load), LCL (less than container load), and air freight providers servicing Illinois (IL), Indiana (IN), Wisconsin (WI), and Missouri (MO). Our uniformed, professional drivers provide exception- al on-time and claim-free service; including value added services such as liftgate, inside, residential, and guaranteed delivery, as well as hazardous materials. 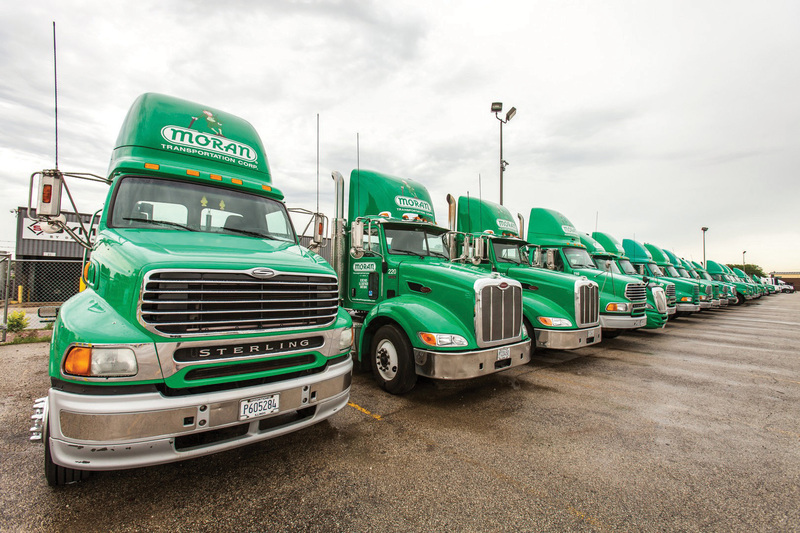 From Chicago to Fort Wayne, to Saint Louis, to South Bend, to Rockford, to Milwaukee, to Champaign, to Indianapolis, and to Peoria; we are the leader in next day LTL (less than truck load) and LCL (less than container load) service.